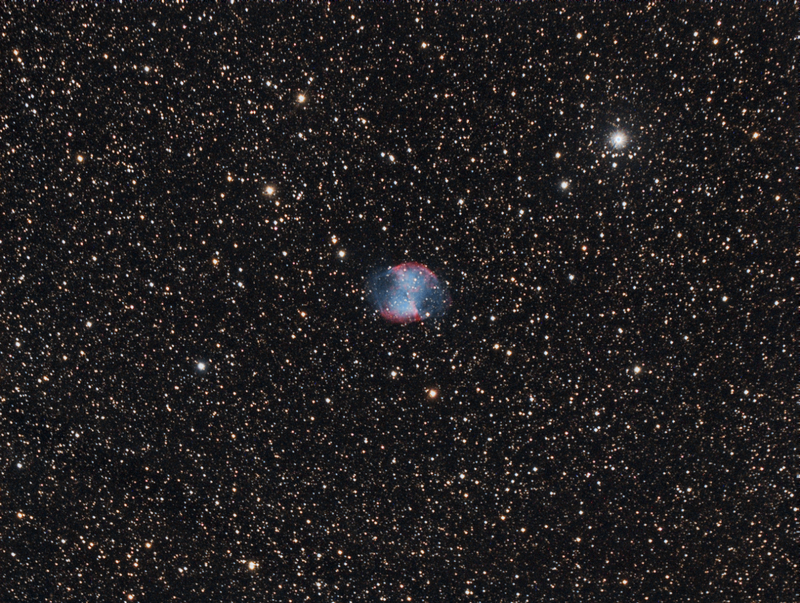 The Dumbell Nebula. 20 x 5 min subs were captured using an Atik 320e camera and an Altair Starwave 70mm triplet refractor with a 0.8 reducer/flattener fitted. 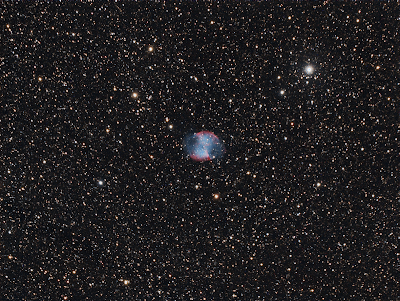 Processed in PixInsight, including stacking and image calibration.